Last weekend we finally got the chance to celebrate Owen's 8th birthday. Owen's actual birthday was on October 12... which was unfortunately the same day I was flying to Toronto for Blissdom Canada. But it all worked out because he was thrilled to have a Halloween themed birthday party this year. 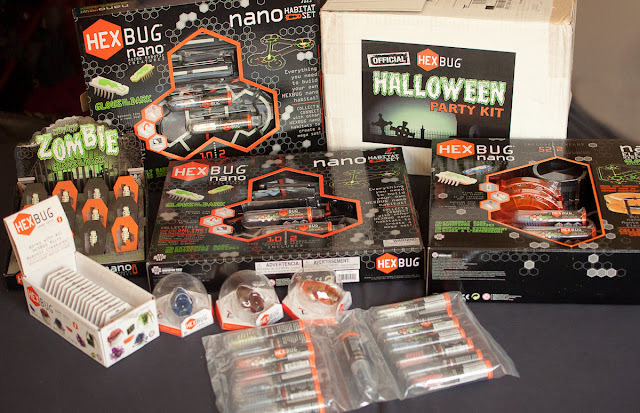 Thanks to MomSelect I was sent a HEXBUG Nano Halloween Zombie Party Kit to help make the party especially fun! Each limited edition HEXBUG Nano Halloween Zombie will rise to the occasion from its coffin-shaped packaging and a glow in the dark exoskeleton, to make sure kids are happily trick-or-shrieking! 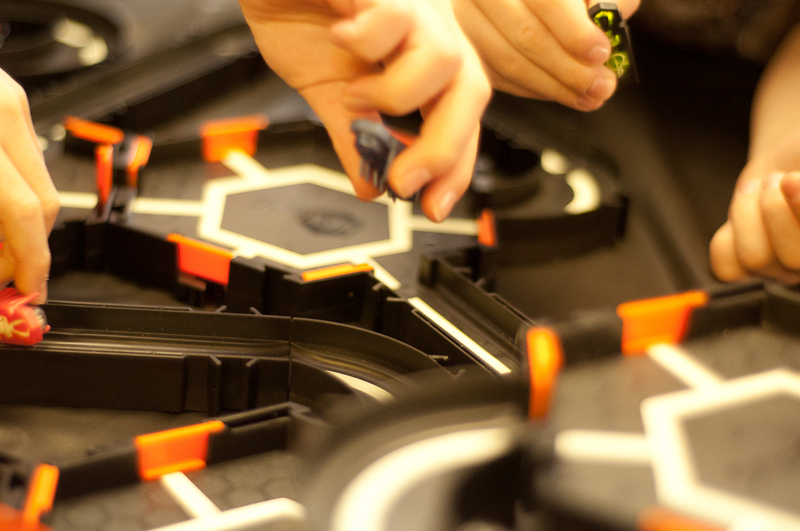 This set allows you to create a variety of customizable playgrounds and includes 10 easy to connect pieces! 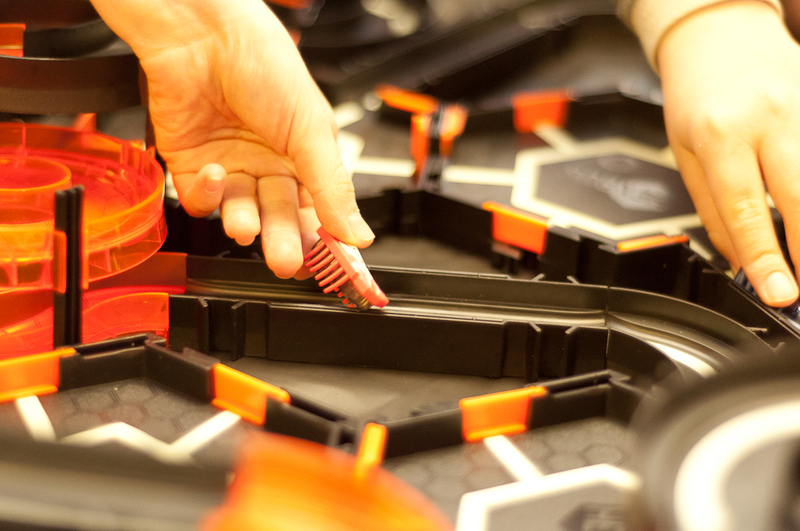 Some of you may remember that Owen had a HEXBUG birthday party last year too :). 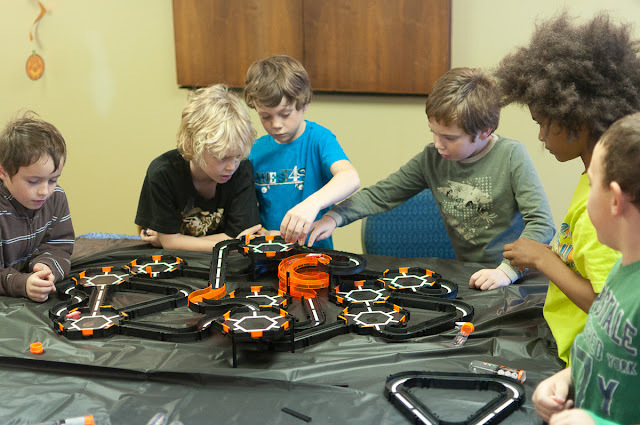 A couple of the kids were at both parties and actually remembered the HEXBUGs from last year and were especially excited to see the new zombie version. They seemed to think that the creepier they were the more fun they were to play with. 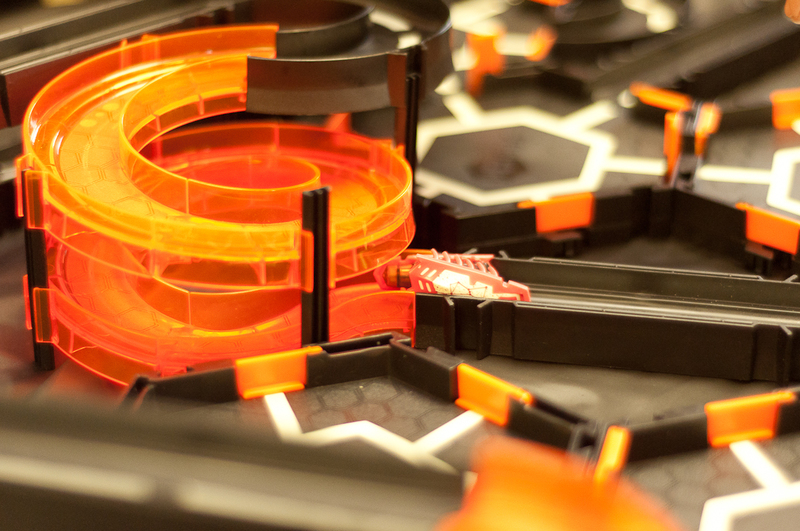 We had mostly boys between the ages of 7 and 9 at the party and they absolutely loved the Hexbugs. I gave them all some track, batteries and Hexbugs to take home in their goody bags and this week I heard from 3 of the moms telling me that their boys played with them all week long. One mom told me her son has asked for a whole set for Christmas this year. We did have a few girls at the party- my 4 year old daughter and a couple 11-12 year old girls that came to the party specifically to play with Olivia. I knew my daughter already loved HEXBUGs but I honestly didn't expect the older girls to pay any attention to them at all. But I was totally wrong. The girls played with them too and were happy to take some home with them. 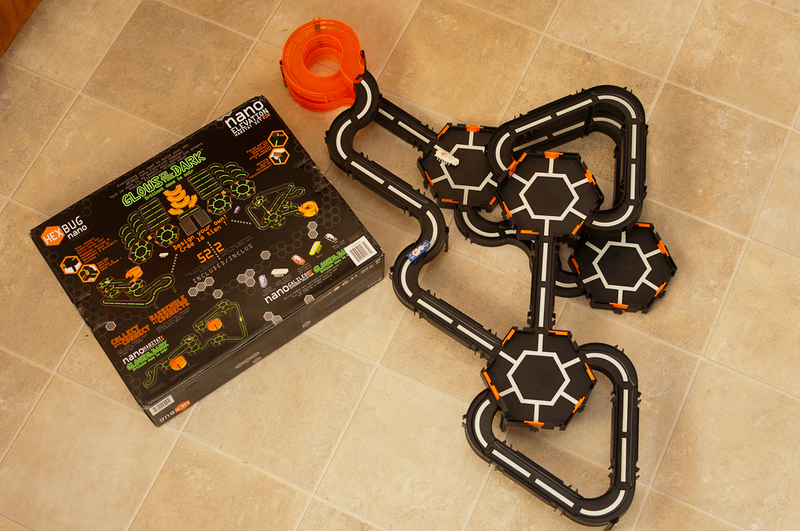 The boys were all very impressed that the HEXBUG Nano Halloween Zombie bugs came in their very own coffins and that the sets glow in the dark. At one point they were all talking about all the ways they could freak people out with glow in the dark bugs. Typical boys :). I didn't manage to get any good video of the Hexbugs while they were glowing in the dark but this is a great video that So You Think You Can Mom took that shows it perfectly! Thanks so much to MomSelect and HEXBUGs for making my son's birthday party extra cool!